Mother-in-law had a bag of watermelon seeds and said she used to eat those when she's young. 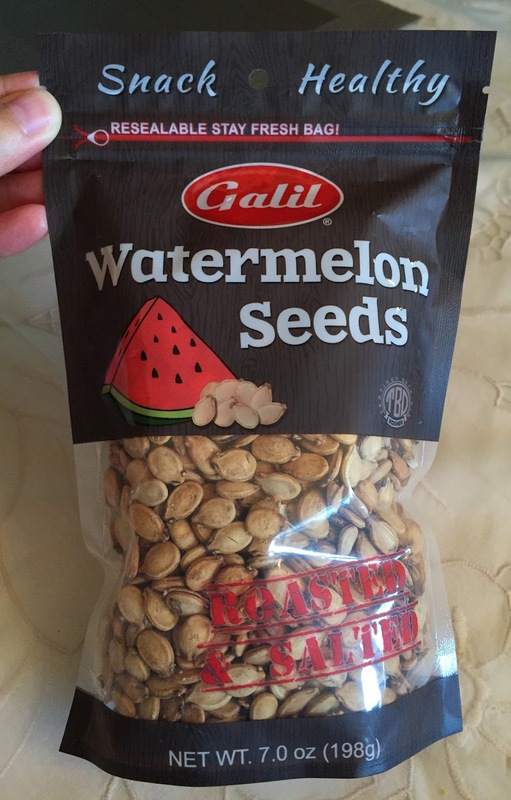 It's my first time to know that watermelon seeds were edible and even sold in a bag as a snack. It's produced by Galil, and on the bag, it said, it's a product of Israel and packed in the States. 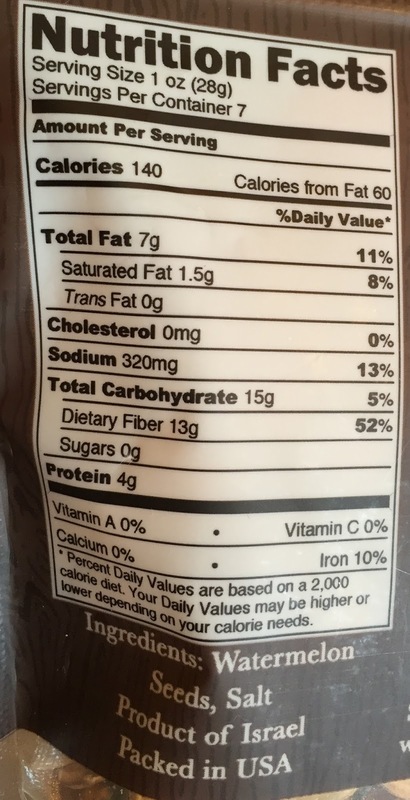 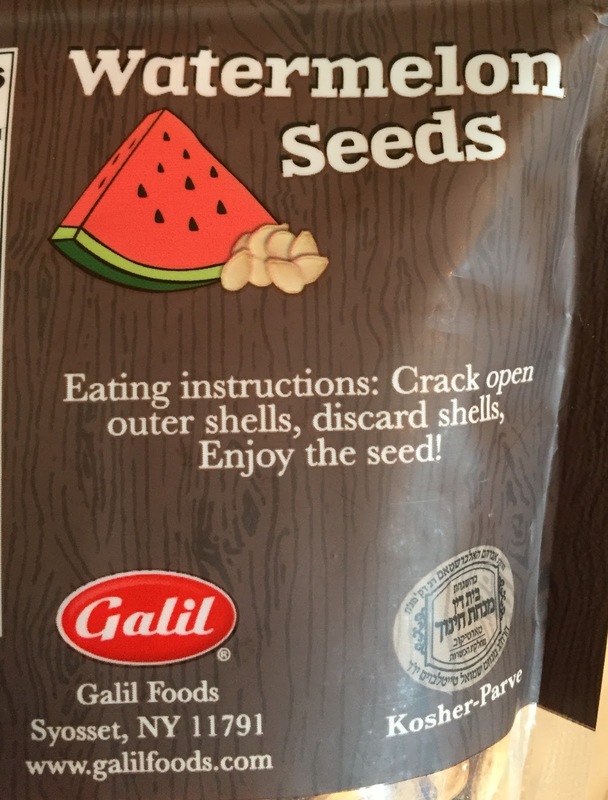 Eating instructions: Crack open outer shells, discard shells, Enjoy the seed! 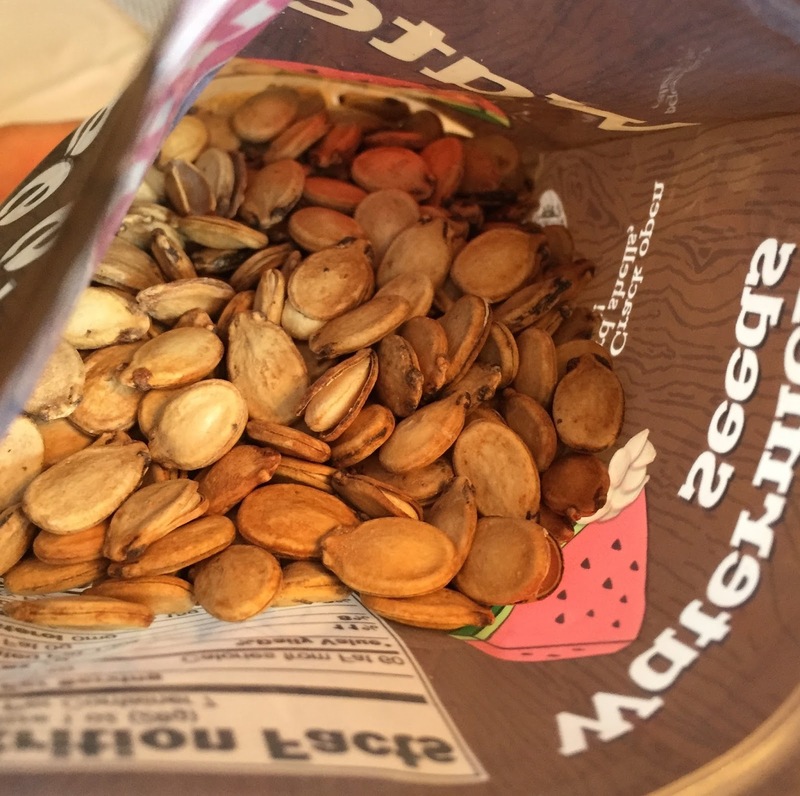 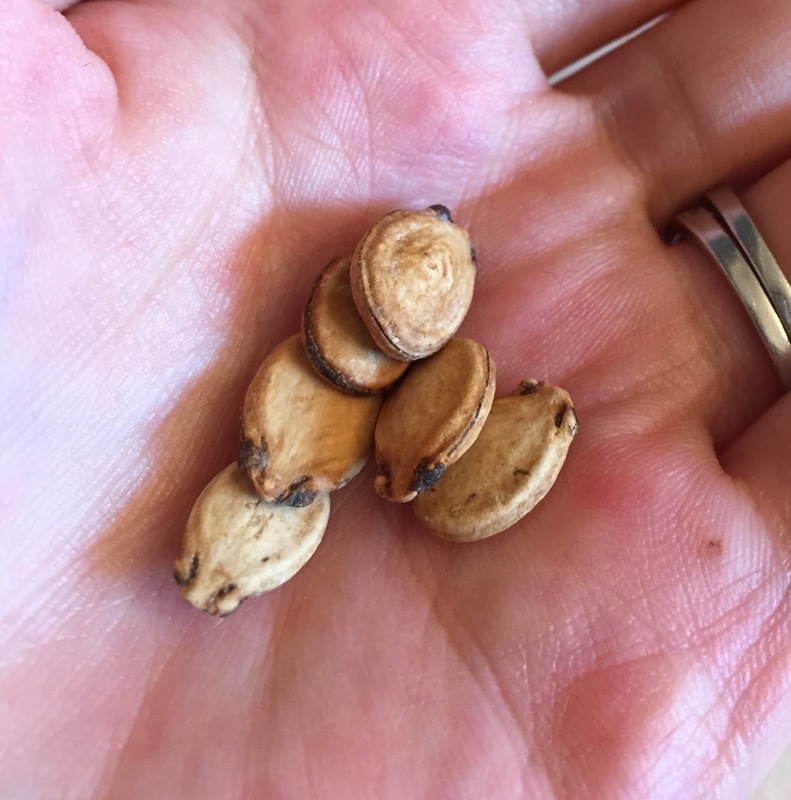 They looked like pumpkin seeds in shells. 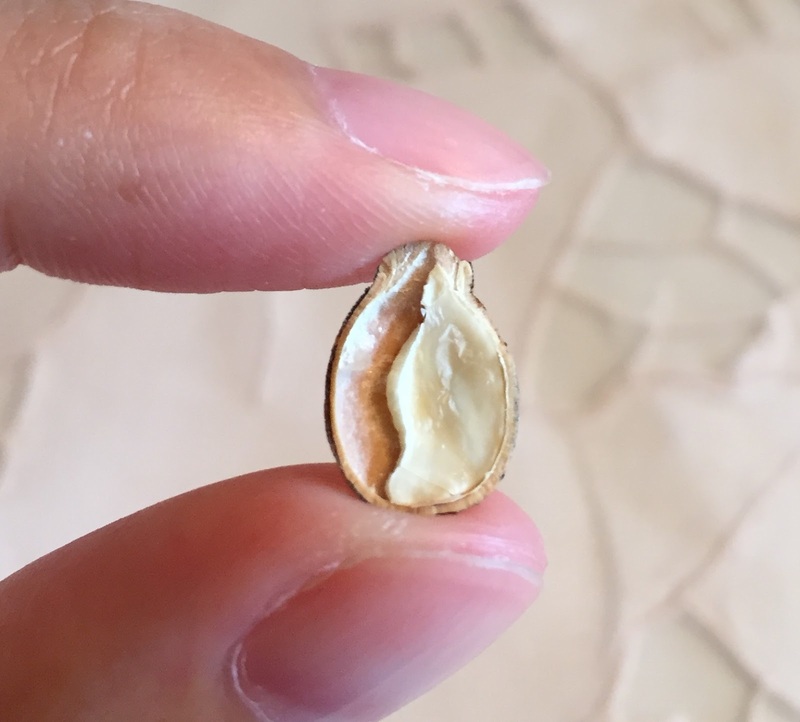 Removed upper side of the shell. 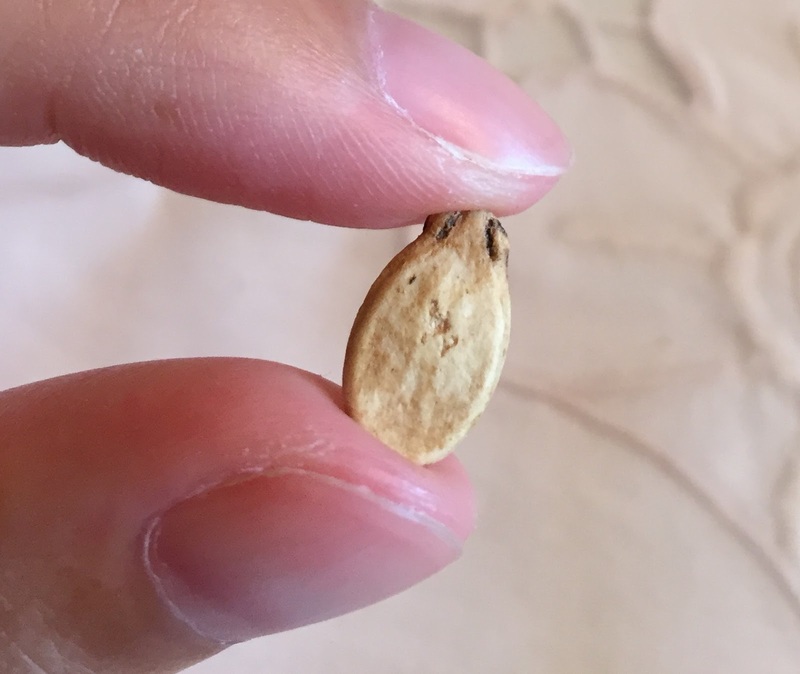 Another seed had much fuller seed inside. 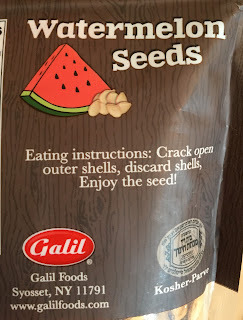 I didn't read the instructions first, and I ate the shells also, but I didn't really have problem eating the whole seeds. 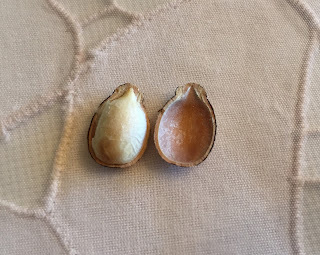 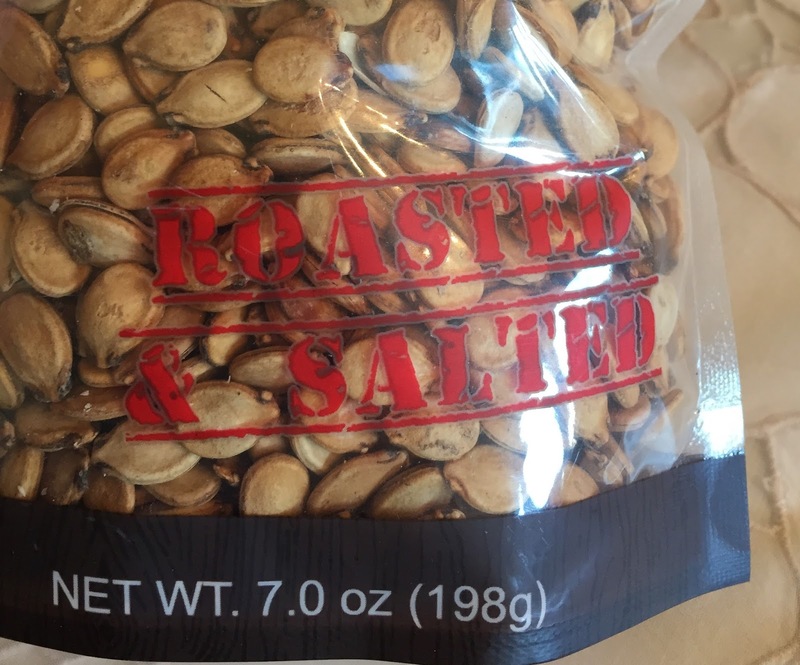 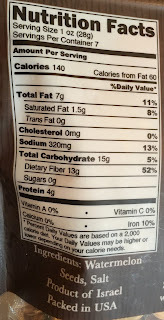 The inside was fragile, lightly crispy and nutty, and it tasted like pumpkin seeds but less popping.